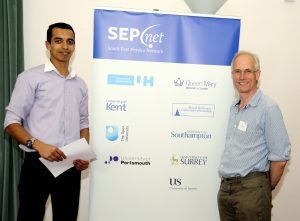 At the end of June, The Open University hosted a Careers Information Fair for Physics students. Seema Shoor, responsible for employer engagement, organised the fair to enable undergraduates and postgraduate researchers to meet a range of employers face to face (a rare and valuable opportunity for distance learners) to identify potential career options. Key employers of physics graduates attended including Network Rail, Airbus, E2v, IoP, STFC, Home Office, Leonardo (formerly Selex ES) and QinetiQ. Over 50 students attended and the feedback from employers and students alike was very positive. Students valued the informal atmosphere: one commented ‘I found it very useful to speak with potential employers and didn’t find the experience too daunting’ (undergraduate student). 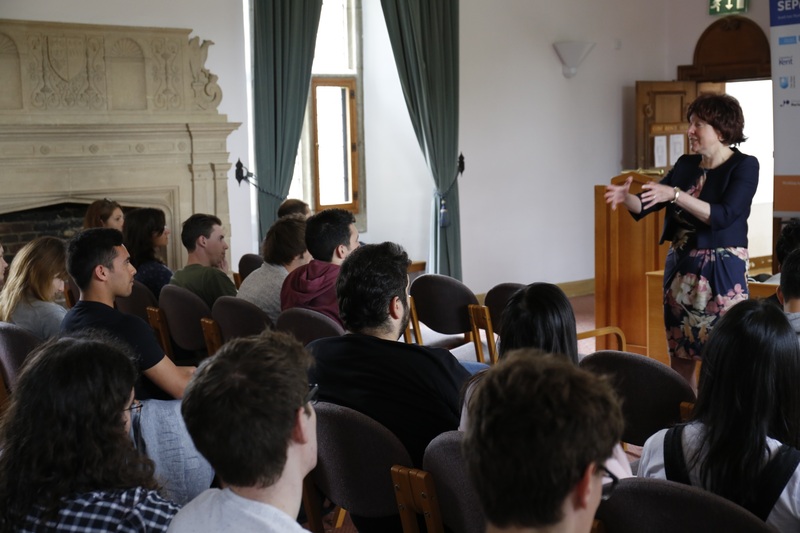 Employers commented on students’ enthusiasm and the quality of the conversations with one stating, ‘I feel that the majority of the students were very willing and open to engage in conversation over their studies and where they wish to progress after their completion of their course. A few of them had read up on the company prior to the event and so they had an idea of who we were and what we could offer them’. (large corporate). Our dynamic modern world presents interesting and exciting opportunities for those who want to get involved and add value to the economy and society. Entrepreneurship is a key and Research Councils encourage PhD students to have a better understanding of its role in value creation and the role of innovation in fostering it. Earlier this year, GRADnet launched its Entrepreneurship in Action Challenge tailored for Physics PGRs in SEPnet to get involved. Elaine Hickmott of EH-Enterprises developed the programme especially for GRADnet. 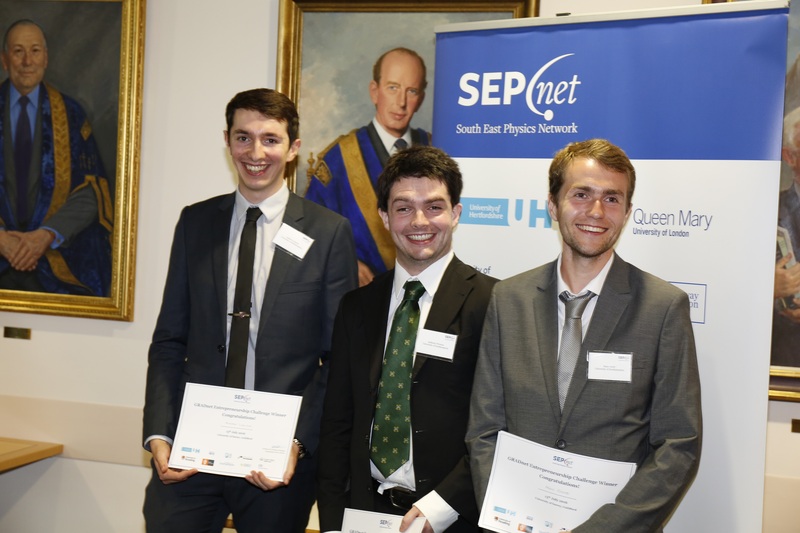 As part of the Challenge, SEPnet institutions were invited to form teams of PGR researchers to compete to be the most entrepreneurial physics department in SEPnet. 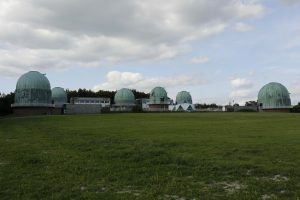 Teams were formed from Kent, Portsmouth, QMUL, Southampton, Surrey, and Sussex. In the six months since the teams formed they have undertaken an exciting, and sometimes gruelling, journey to develop their ideas into marketable proposals. Unfortunately along the way, some teams dropped out due to research commitments. However they gained valuable experience from the intensive training provided. The teams from across the network gathered on 13 July to present their business ideas to a panel industry judges. Neil Phillipson of Outsideology, Simon Bland of Reigate and Banstead Borough Council and Phil Edwards of Weald Technology were all impressed by the quality, credibility and potential of the ideas being showcased. They commented that it was impressive to see physics PhD students applying their skills to challenges and scenarios outside of their normal environment. They agreed that the creative thinking and entrepreneurial mindset demonstrated by the teams would be an asset to any industry or organisation. The teams were from Portsmouth (Daniel Goddard and Ben Mawdsley, who sent a video of their project), Southampton (Azaria Coupe, Anthony Preston, Andrew Lawson, and Marc Scott), and two teams from Surrey (Ralitsa Ilieva and Gemma Chapman; Bob Simmons and Louise Dummot). Winning Team from Southampton. Azaria Coupe was unable to be present. 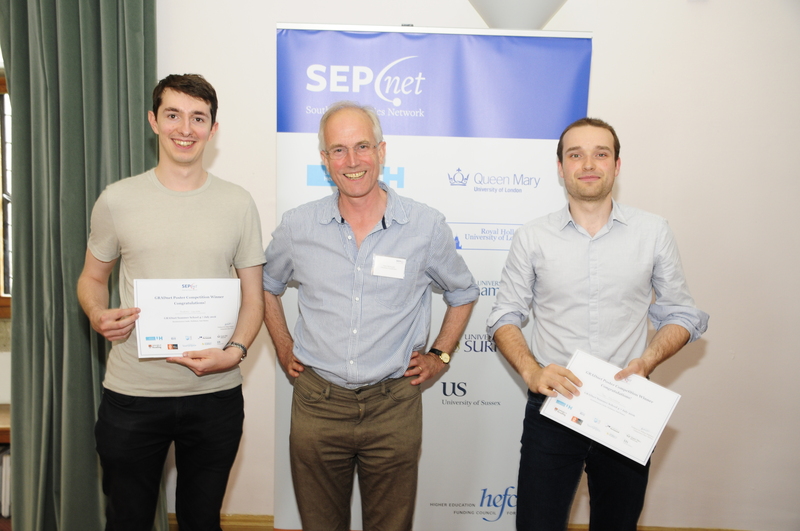 The winning team came from the University of Southampton and they are looking forward to spending their cash prize. The achievements of all the teams were celebrated at the follow-on networking event which brought together the students and local entrepreneurial businesses.Azaria Coupe, who led the winning team, has written an article on her blog. All the teams thoroughly enjoyed the challenge, having learnt a lot about innovation, business and themselves. During the week of 4th July 2016, nearly 50 SEPnet Physics PGRs from around the region attended the GRADnet 2106 Summer School. This was the fifth of our series of residential schools in the GRADnet programme and it was held in the historic setting of Herstmonceux Castle in Sussex. The castle is of 15th Century origin and is located by the former Royal Greenwich Observatory, now a public Science Centre. The purpose of the GRADnet residential schools is to give Physics Postgraduate Researchers in the SEPnet region the opportunity to experience opportunities and challenges outside of academia. They give them the chance to interact with employers from leading organisations through interactive workshops, presentations and poster sessions. They explore how the skills developed by Physics PGRs can be applied to solve problems encountered in the commercial world. The programme consisted of the “Consultancy Challenge”, a competition where students take on the role of consultants to propose solutions to problems encountered by companies. Amec Foster Wheeler, Chomko & Rosier, Observatory Science Centre, and InSync Technology presented the students with a set of problems they need help solving, and the students formed teams to propose solutions. The posters with their solutions from the teams are here. There were modules on Public Engagement, led by Rowena Fletcher-Wood of Things We Don’t Know, followed by a “Pub Quiz” to push the problem solving skills to the limit and think about how to communicate science in new ways. The next day Dr Becky Parker, Director of the Institute for Research in Schools, gave a stimulating talk on how Physics researchers could work with schools to engage them in their research, to inspire school students to become involved in cutting edge research. 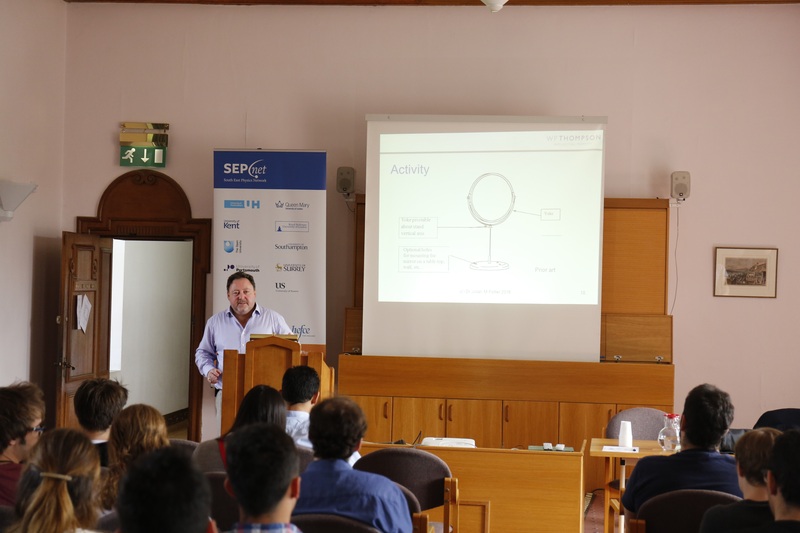 Workshops from Airbus, NPL, CAST, AkzoNobel, the Met Office, and MR Solutions gave insights into challenges faced in the commercial world and how Physics skills can be applied to address them. 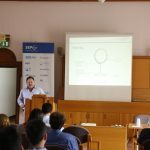 Key topics covered by other speakers included Intellectual Property by Julian Potter of JW Thompson, and Ethics in Research by Paul Stephenson of the University of Surrey, explored via case studies of ethical issues researchers are likely to encounter. All in all, a packed programme that our students thoroughly enjoyed and valued. 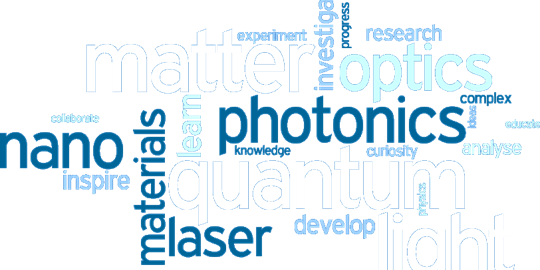 Southampton Quantum Light and matter PGR students are holding a Summer School in Winchester on August 30 – September 1st. 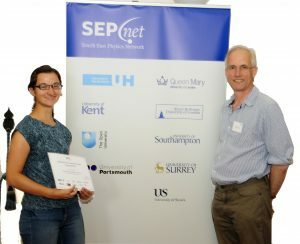 In the interests of encouraging greater collaboration within SEPnet we have agreed to fund upto 10 PGRs from other SEPnet partners to participate, including their reasonable travel cost. If the numbers are oversubscribed we will work with the organisers to ensure a reasonable distribution across the SEPnet members and sub-disciplines, otherwise places will be filled first come first served. The deadline for registration has been extended to Friday August 5th 2016.